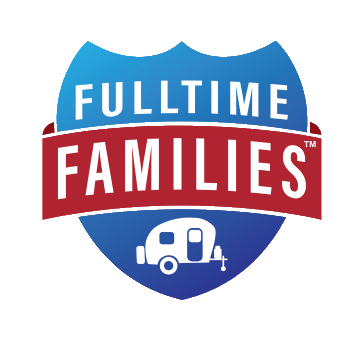 Fulltime RV families have the opportunity to declare any state in the union as their domicile or residency state. With all the choices, this freedom and flexibility can be leave the decision maker in a state of confusion. While the choice is by no means a permanent one, determining the best option for declaring a domicile state the first time will save time, money, and lots of headaches. Note: For fulltime RVers, the status for state income tax and homeschool laws are the top two considerations when choosing a domicile state. A quick comparison of the states that are the best fit in each of these areas above show three options that overlap in each category: Alaska, Florida, and Texas. Therefore, we will discuss only these three states for the remaining evaluation of this important subject. 3) Driver and Vehicle Registration. Ease of vehicle registration and driver’s license renewal are important factors in this decision making process. Alaska, Florida and Texas are all fairly equal in this category. But, Alaska’s remote location makes it the obvious choice to cross of the list next. 4) Annual Vehicle Inspection. Florida has no annual vehicle inspection while Texas does have this requirement. The caveat is that if you are out of the lone star state, you do have one week to get the vehicle inspected in Texas when you return. On the part of the controversary regarding health insurance rates, Texas provides a better, more economical option. Florida statistically has an aged population; therefore, it has one of the highest health insurance rates in the country. While these five areas of concern are the most common to be considered, a family’s unique circumstances often come into play. All things considered, the majority of roadschoolers that make up much of the fulltime family community, pick between Texas and Florida. In the end, Florida seems to win this overall debate when the Florida Residency Rates for theme parks are factored into the decision. Overall, a thorough research of choosing a domicile by evaluating state income tax, homeschool laws, driver and vehicle registration procedures, annual vehicle inspection requirements, and health insurance rates should provide a clear answer for choosing a state for residency for the immediate future. To listen to the Roadschool Moms’s take on choosing a state domicile, tune into the August 16th episode of Roadschool Moms over at iTunes! Roadschool Moms is a live, one-hour weekly broadcast dedicated to the needs and challenges facing today’s roadschool moms. Kimberly Travaglino, of Fulltime Families, and Mary Beth Goff, the Road Trip Teacher, team up every week to offer listeners a fresh take on homeschooling while traveling full time, working in current events and featuring a mix of expert guests. Subscribe today and receive a free ebook!